Loi Krathong Festival, a famous annual Thai celebration with origins usually attributed to the Sukhothai Period of the 13th-14th centuries, falls on the night of the twelfth lunar month, when the full moon lights up the sky. Preserving culture and tradition is one of the advocacies of St. Theresa International College and every year the school organizes an event to promote this tradition. 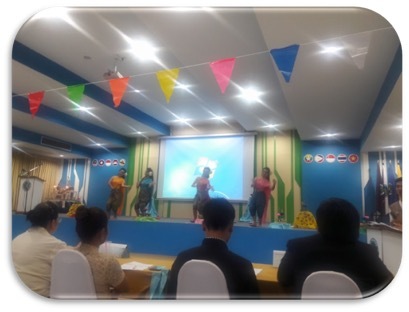 During this event, students from each faculty submit a hand-made “Krathong”, a floating decorated basket made of banana leaves and flowers, into a contest. 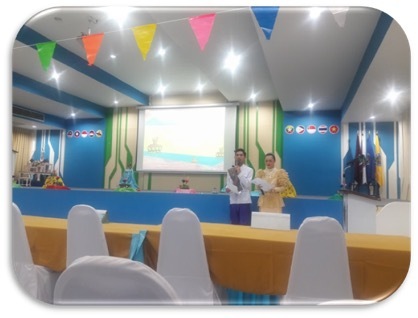 In addition, every faculty has their beautiful “Nang Noppamas” (Miss Loi Krathong), a lady from whom the story behind the tradition is based. 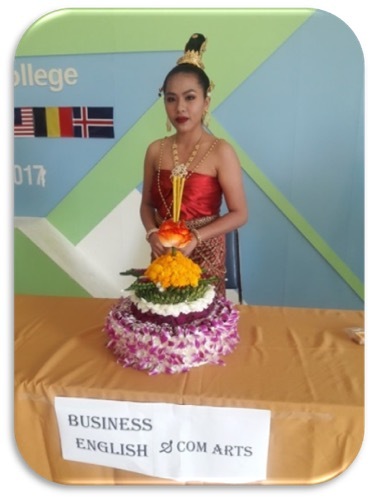 For 2017, the tanned and exotic beauty of Ms. Natjira Palasee from Business English Year 2 represented the Faculty of Humanities and Social Sciences. As a celebration which symbolizes giving thanks to Mother Nature via a body of water, students and instructors of the Faculty of Humanities and Social Sciences sincerely appreciated the chance to once again be part of this annual celebration.